Are you looking for professional PostgreSQL cloud services? Do you use Amazon Web Services (AWS) or HP Cloud Services and are looking for a partner who can help with your cloud setup? No matter which hosting partner you have chosen, Cybertec Schönig & Schönig GmbH can provide assistance wherever you are located. We can help setup your PostgreSQL system in the cloud. In addition, we provide regular maintenance and fine-tuning and are here to help you scale up your infrastructure. Large corporations rely on their own IT infrastructure. Data protection, scalability and high availability of the database infrastructure are primary concerns. As a consequence, external hosting solutions are not always the preferred option and private infrastructures are used to reduce data loss risk. Cybertec Schönig & Schönig GmbH will help you build your private cloud solution. 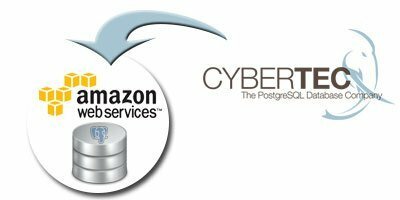 We assist in creating fully-automated PostgreSQL database clouds capable of providing ready-to-use PostgreSQL systems. New setups are just a single mouse click away. You can start working in a matter of seconds. There is no need for manual configuration, no need for manual backups and no need to worry about tasks like VACUUM. 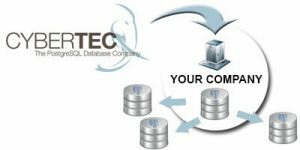 Your hand-tailored PostgreSQL database cloud solution will automatically take care of all the necessary steps. Feel free to request further information!